1) Steam cook sprouts for 5 minutes in Pressure cooker. 2) Soak Tamarind in water and take extract. 3) Dry grind Poppy seeds,coriander seeds,fennel seeds ,green chillies and coconut. 4) Add Water at the end and grind it to a fine paste. 5) Heat oil and add cloves and cinnamon. Add ginger garlic paste and onion..
6) Fry till onion become golden in colour. 7) Add turmeric powder and tomato puree.Stir till moisture is absorbed. 8) Then add grounded paste,salt,jaggery ,tamarind extract and keep stirring for 7 -8 mins. 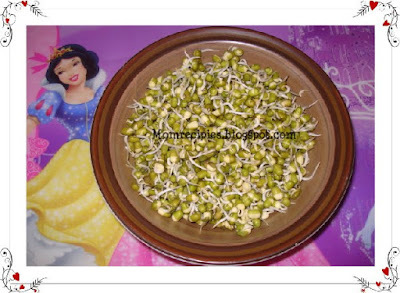 9) Add the pressure cooked sprouts and milk to it and allow it to boil well and get thick. 10) Garnish with coriander leaves . 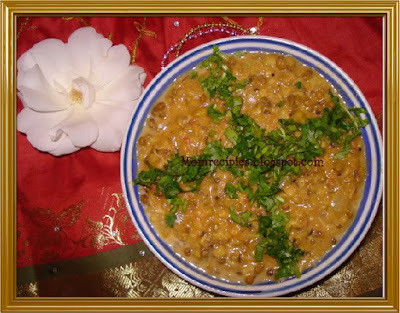 Serve hot with rotis, chapatis, pulao. Wowo healthy and delcious kurma.